We first met Sergei + Mary the night they got engaged. Guy Sebastian's Australian tour in February of 2015, in front of all those people, as we watched and cheered. Little did we know we would meet again. The morning of the wedding approached fast and before we knew it, we were front and centre of what seemed to be a prestige car yard. The roar of the engines ensured we were revved up and ready to go. The Lady's preparation was on the other side of the scale. 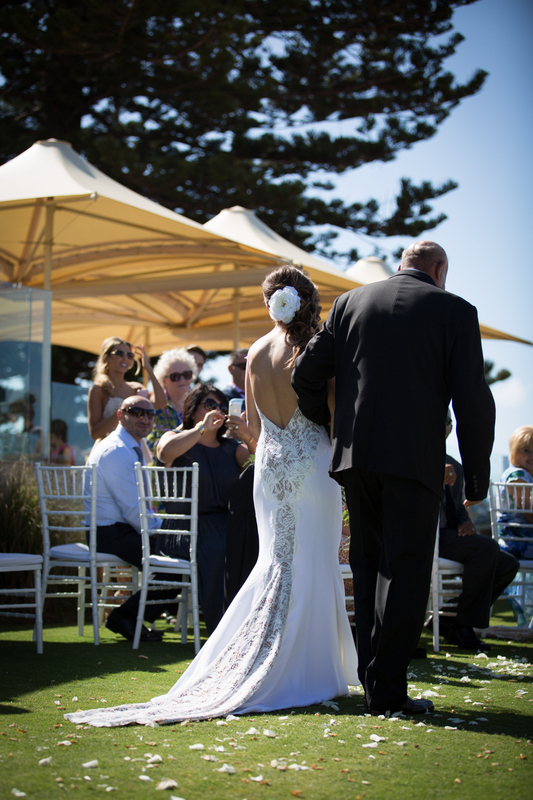 Sipping on champagne as they watched the waves roll into the shore of Long Reef Golf Club. Shortly after, we heard those rumbling engined approaching the ceremony. A knock on the door and Mary's dad stepped in to walk his Daughter down the ocean view isle. The I DO's were spoken, and that's when the fun really began! Jumping into golf carts, and numerous near death experiences later, we came to the peak of our destination, and the view was incredible. Ocean and wispy clouds as far as the eye can see. The chemistry between these two was so evident. No words were spoken by us, no instruction needed. Just the calm sound of waves and a camera shutter. It all went too quick, and it was time to head back to the reception, to party the night away. The true colours of our bridal party showed. Dancing and having an incredible time as they walked in. The cultural music was the party starter. The beat of the live drum rippled through all, as everyone swarmed the dance floor. We partied the night away, and had to remind ourselves that we were not the wedding guests, being taken in by it all was much too easy.